Eclipse Mars is just around the corner. As the Eclipse team is hard at work putting the finishing touches on everything, I’m traveling Europe, presenting about Tabris.js and J2V8 and counting down the Top 10 Eclipse Mars features I’m most excited about. Throughout my day I work on several different projects. I’m responsible for Eclipse work, infrastructure, J2V8 builds and Tabris.js android integration. I work with Tomcat servers, CouchDB, C/C++ builds, node.js and many other technologies. Docker has been a life-saver when it comes to managing all these stacks, and I’m excited to see Docker tools integrated directly within Eclipse. 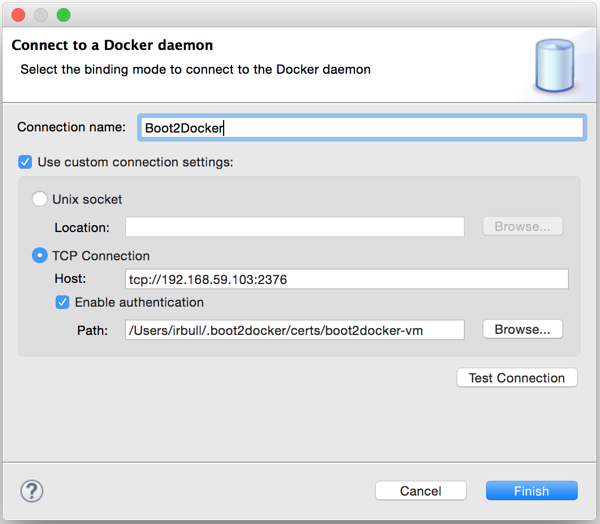 There is a new Docker perspective that you can use to connect to a Docker daemon. You can browse your images and containers. There are also views that you can use to manage your Docker images and running containers. 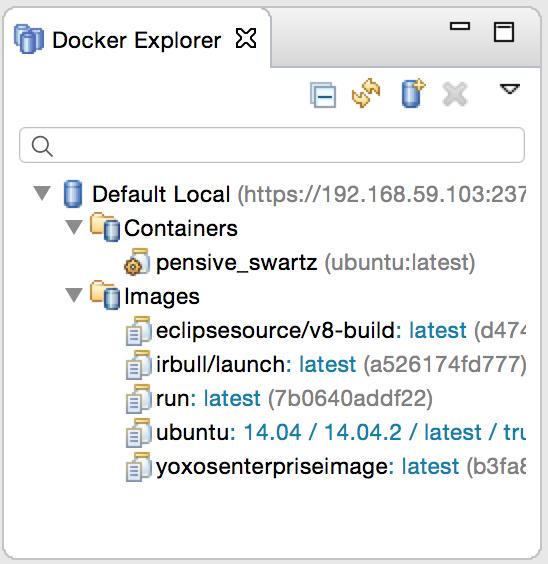 Images can be created from a Docker file, pushed and pulled from a repository, tagged, and even started, all from within Eclipse. Likewise, containers can be started, stopped, paused, resumed and the properties can be inspected. Even the log from the container can be displayed. And as I mentioned earlier, containers can be used as targets for launch configurations. 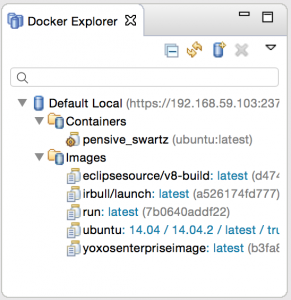 If you are using the power of Docker to help manage your technical stacks, checkout Docker Tools for Eclipse.